You’ve been saving toward retirement, and it’s time to reward yourself with a unique and customized senior vacation. With so many senior tours and destinations to pick from, we have a couple tips as you plan your Adventure of a lifetime! Find a tour company that caters to your needs. 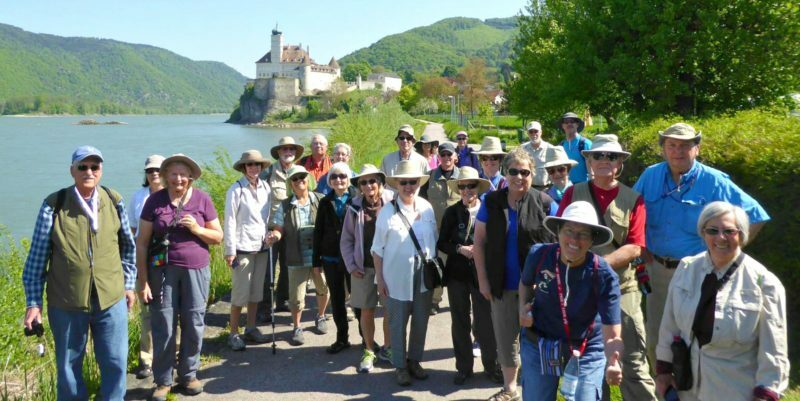 Are you looking to travel with other like-minded people over 50? Are you interested in learning about the culture and history of new destinations while making new friends? Do you like large or small group tours? There are plenty of ways for people to travel now from voluntourism to cruising to backpacking or couchsurfing. If you don’t want to put all the pieces of your travel itinerary together on your own, an organized senior vacation is the perfect solution for you. The WAI team has already made the connections, put together the research, engaged in onsite planning, created original walking trails, booked hotels and transportation, and coordinated the best activities each region has to offer – your perfectly planned trip will go smoothly and save you the hassle of organizing your own accommodations. Just sit back, relax, and enjoy the Adventure. Ever been disappointed in those Groupon deals that charge extra for single travelers? Join a travel club, meet up with like-minded people, and arrange your own roommates. Many travel clubs can be found in your city or region by utilizing website services like meetup.com. These groups not only help you to find potential travel mates but can also score you some discounts (Check out ours!) on your trip. Never been out of the country? Now is the time to start checking things off that bucket list. Start with small steps by making your way to neighboring countries and immersing yourself in the culture. Once you get your feet wet, you’ll be exhilarated at the opportunity to see the world and experience each unique place, from the cultural flavors and historical background to the food. There are always more areas to explore so try to stretch your funds and experience the most authentic expedition possible by going off season. Research your independent travel options with guide books from Lonely Planet or Rick Steves or book a tour from a reputational tour company to find that perfect senior trip destination. You may be a senior citizen but it’s never too late to do that thing you’ve always wanted to do – hike the Alps, take a balloon ride, or soar on a zip line through the jungle. Less intense activities like river rafting, snorkeling, or setting back on a camel ride through desert sands are also available. Are you wishing you could travel but not wanting to go it alone? Here are a few different options to find your senior travel companion. Call up your best friend and invite them on a trip with you. Connect with a local walking club to make some new friends. Sign up for an international volunteer vacation to meet new folks and travel with a group. Or join us on a walking tour. 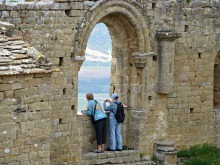 Our groups range from 25-30 travelers and are composed of a mixture of single travelers and married couples. Avoid the fees involved when you travel solo; instead, use reputable tour companies who will find you roommates and you may meet new friends for life. Your senior vacation has never been easier. With tours available on all continents, and destinations ranging from otherworldly Antarctica, to exotic Kenya, or the comfort of England’s green countryside, our tours were meant for you! Our itineraries combine elements of adventure, hiking, rich cultural activities and lots of interaction with a fun group of travel mates. The average age of our travelers is 65 and if you are looking for vacations for seniors over 50 we have you covered! We have younger and older travelers on tour with us as well. Walking Adventures has been providing unique customized touring experiences for over 25 years. Let our Adventure Consultants help you find the trip of a lifetime.